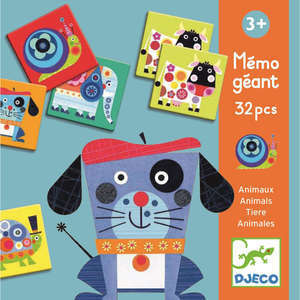 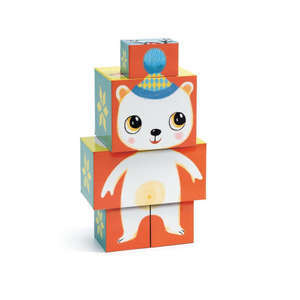 This colourful puzzle duo from French toy brand Djeco introduces young children to animals and their natural habitats. 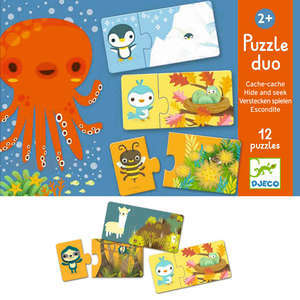 Each puzzle is made up of two pieces; one piece has a picture of the animal and the other has a picture of their usual home. 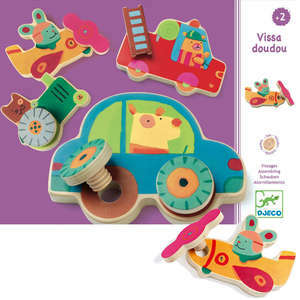 To make this easier for younger children the background colour of the matching pieces is the same. 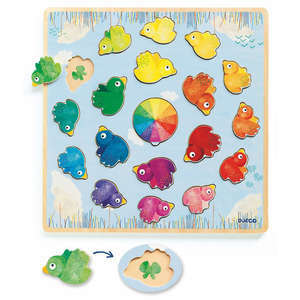 Start by putting out just three puzzle duos, one of each of the background colours. 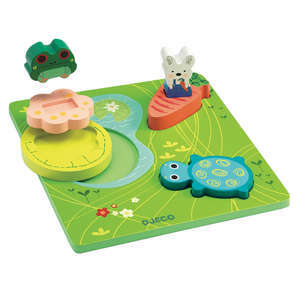 Small children will be able to match the puzzles by colour, learning the names of the animals and their habitats as they do so. 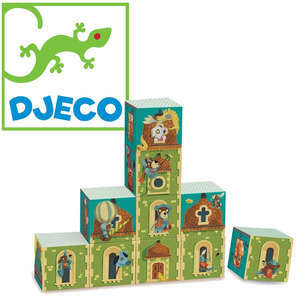 Djeco puzzle duos comes in a lovely box complete with a cord carry handle. 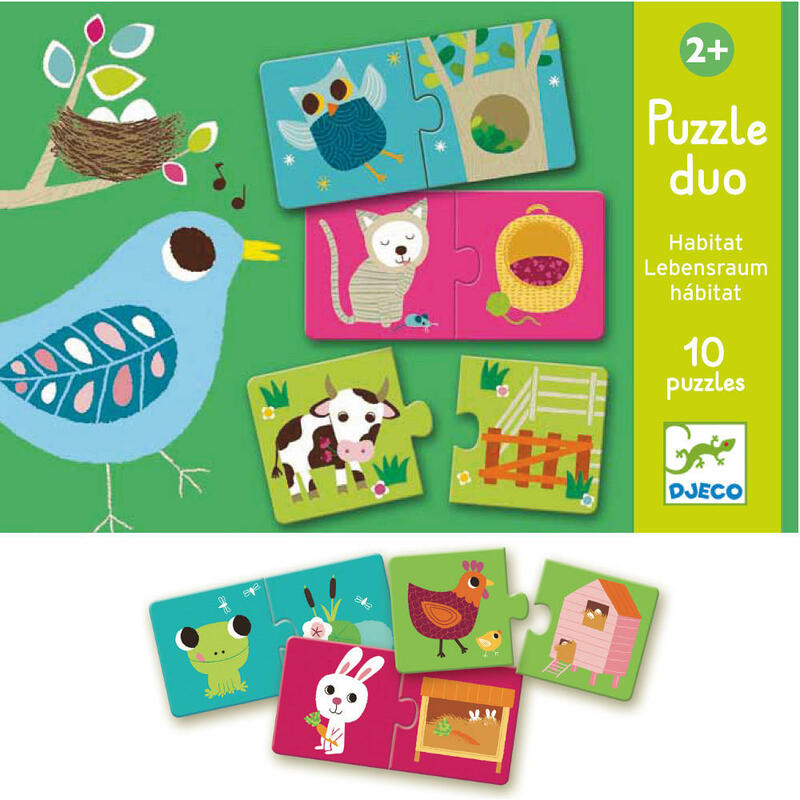 Ten colourful animal puzzles: a cow, bird, horse, rabbit, frog, dog, chicken, cat, bee and an owl.